The Death Cure is the third and final movie to the Maze Runner movie series. This movie was released on January 26, 2018, and was directed by Wes Ball. This is a fantasy and science fiction movie that was based on James Dashner’s novels. Starring in this movie is Thomas(Dylan O’Brien), Teresa (Kaya Scodelario), Newt (Thomas Brodie-Sangster), Minho (Ki Hong Lee), and Ava Paige (Patricia Clarkson). In the second movie, Thomas and his friends had escaped from WICKED for the second time. However, at the end of the movie, WICKED captured some of Thomas’s friends, including one of his best friends. 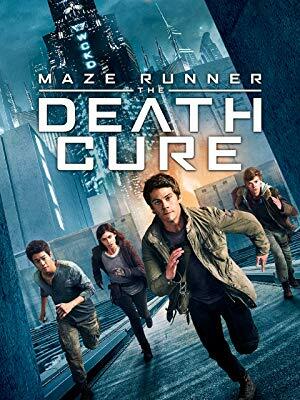 In the Death Cure, Thomas and his remaining friends try to break into the last city that is not infected (WICKED’s headquarter) to go save the others who are being used harmfully by WICKED’s experiments into trying to find the cure to save the infected. The Death Cure is my favorite movie out of all of the Maze Runner movies. There is more action in this movie and more intense parts that made me so anxious. I enjoyed watching this movie except for the parts that made me devastated. I wasn’t really expecting some parts of the movie that happened at the end. The lighting and music were great. The lighting was focused on the important items along with the music that matched scenes perfectly. The actors were great too, they acted every scene with great emotions and movement. Everything was matched perfectly with every scene. The Maze Runner is the best series of movies and books I have seen and read. I would highly recommend watching and reading The Maze Runner, but before watching the movies, it is better to read the books so it is easier to understand. I would definitely watch the movies several of more times and be fascinated by them again.